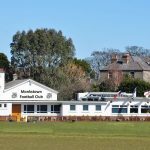 Monkstown FC has a long and proud tradition of welcoming rugby tours from all over the world by providing the warmest welcome, and the heartiest hospitality of any club in Dublin. Over the years we’ve happily entertained men’s teams of all ages and levels from Spain, France, Italy and every part of the UK, and although we may have lost some of the matches, we’re pretty sure we won the sing song in the bar! If you’re thinking of planning a rugby tour to Dublin we recommend using our tour partner Dublin Rugby Tours www.dublinrugbytours.com who will provide a free of charge service to recommend hotels, pubs, travel and entertainment for your tour to make organising as simple as possible. If you’d like to get in touch please email us on info@monkstownfc.ie, and good luck planning your tour, and we hope to see you soon on the pitch and at the bar in Monkstown!